You�ve watched your call center evolve to the forefront of your business. The small group of people that answered phones has expanded to become the primary interface for your customers and prospects. The increased visibility and importance of the call center has prompted executive management to take a vested interest in call center performance. As your call center moves from tactical to strategic, the technology available to you has evolved to help you meet the new challenges. Much of the focus has revolved around call handling and routing. This equates to handling the need of the caller as quickly and efficiently as possible with the best resources available for the job. This focus has in turn added new pieces of technology to the call center, increasing the center�s complexity. While the role of the center has moved from tactical to strategic and the environment has become more complex, the reporting and management tools continued to provide only tactical information (call count, average talk time, and the like). Yes, the tools have certainly become more eloquent (Windows GUI vs. DOS), but the information provided has remained essentially the same. This problem is further complicated by the additional technology that has been added to the center. You are now faced with tactical information coming from multiple pieces of technology. In simple terms, you have islands of information . Let�s use a simple example to illustrate the problem. The call center has implemented an IVR to offload some of the inbound call volume. The customer calls into the center and is routed from the PBX (Private Branch Exchange) to an ACD (Automatic Call Distributor). The ACD queues the call to an IVR (Interactive Voice Response) unit. The caller travels through a series of prompts within the IVR but requires additional assistance. This caller prompts out of the IVR and is queued to another ACD and awaits an available agent. The call is routed to the available agent who handles the customer�s request. The ability to report on this type of customer transaction goes beyond the capabilities of traditional ACD reporting tools. Each piece of technology accessed can provide some metric on what transpired within its own domain. However, this perspective of reporting does not provide a true reflection of the customer�s total experience while interacting with our company. Nor does it provide a view of how both the technology and individual agents are performing while handling the call.So while we are investing heavily in IVR and CTI (computer telephony integration) technology to manage each call as an individual transaction, we have no ability to measure our success or failure at a transaction, transaction type, or customer level. To summarize the challenges, your call center is becoming strategic and your technology complex. The management information has remained tactical. Your original goals of improved efficiency and better customer service have driven the need for technology changes within your center. These additions have provided "islands of information" and further complicate your reporting and management challenges. In addition, executive management has increased its involvement in the center and its performance requires a level of information currently not accessible. But while tools such as CTI have created this new level of complexity, these tools can also be viewed as the source of the solution. Consolidated call center reporting uses CTI link information as a basis to integrate data from these disparate systems on a transaction by transaction basis into an integrated database of call center information. While bridging the individual components of the call center, it provides a unique new view of customer interaction, agent performance, as well as a technology audit tool. The opportunity to manage the combined resources of the call center (PBX, ACD, IVR, CTI, business applications, and agents) and how they perform to meet your customer�s needs is within reach. 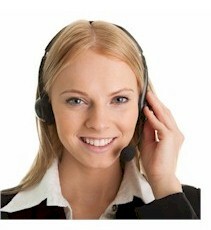 Let�s return to our earlier example of the customer who called in, utilized the IVR, and then prompted out to an agent. With consolidated reporting, we can link all the telephony events such as the queues, transfers, and call routing with the discrete business transactions and steps that happen within the IVR. Furthermore, you can correlate the business activity that transpired at the agent�s desktop. This consolidated view provides a complete knowledge of the "customer transaction." This new tool provides advantages on both a tactical and strategic level. At minimum, the consolidation eliminates the need to utilize staff resources to manually manipulate and correlate data from the individual systems. Although this is certainly a benefit, the life of call (or cradle to grave) view of customer interaction provides benefits more far reaching. At both a detail and summary view, this new paradigm for call center reporting opens a wealth of standard benefits that apply to many call centers. There are also benefits that can be derived for specific industries as described in the accompanying sidebar titled The Action Is In The Transaction. Although the benefits can be applied to numerous call center environments, the reality of success from any solution such as consolidated reporting is derived from the mechanics of how the system operates. Let�s look at the consolidated call reporting system from an architectural view. To better understand the process, we will examine consolidated call center reporting in a client/server environment by separating the functions of the server and the client. The server coordinates input from various system interfaces and makes the data available to the client views. The three basic functions of the server include call collection, call modeling, and call storage. The call collection process captures the event messages from all monitored resources and consolidates them into an internal call format. The collection process adjudicates all necessary information to process a complete call from the PBX�s CTI event stream. The call modeling process utilizes the events to build active call records in memory. For each call it builds, the call modeling process also integrates any business data that it is presented via APIs (application programming interfaces) from external sources such as the IVR or business application. When calls are completed (the agent and/or call hangs up), they are indexed and summarized in a variety of ways and presented to the database server for storage in an SQL relational database for later retrieval. This rolling summary process provides fast response times to a user�s most common queries via the client view from the user�s desktop. The client view retrieves and summarizes the information collected and stored by the server. The view can provide information in spreadsheet, graphical formats, and a mechanism for generating reports on both a demand and scheduled basis. Reporting should also be able to be provided both on screen and printed report formats. Since the model uses an open database format (SQL), the ability to generate custom reports via a standard off-the-shelf report writer exists. If your call center is moving from tactical to strategic, you have made investments in technology such as IVR and CTI to provide better call handling and routing for each discrete call. In order to measure and manage this environment effectively, you now need to invest in the technology to report on each discrete call and its associated attributes (i.e., customer and business application). Consolidated call center reporting provides this capability and your call center will realize the associated benefits. Tim Galvin is channel manager of The Info Group, a leading provider of consolidated call center reporting and telemanagement applications. For more information, call The Info Group at 508-628-4500/800-54-GROUP or visit the company�s Web site at www.infogrp.com. Email to info@infogrp.com is also welcome.